It takes a lot for me to really like a conditioner. Most leave my locks feeling coarse, straw-like and unmanageable. 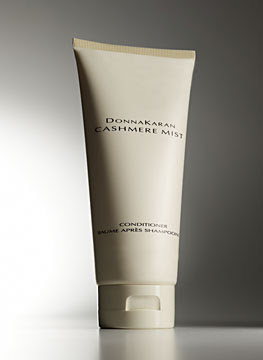 But the first time I tried Donna Karan Cashmere Mist Conditioner, I was hooked. This conditioner is, of course, laced with the scent of Cashmere Mist. (Click here for my in-depth review of the scent.) It's completely and utterly luscious, and immediately fills the shower with a sweet but not cloying aroma. Best of all, my hair is manageable. I can actually get my fingers and a brush through it after use -- not an easy feat with most conditioners! It ups the shine factor quite a bit, too. Donna Karan Cashmere Mist Conditioner retails for $20.